Ethiopia have announced a squad which includes more than a dozen uncapped players for this month's Cecafa Challenge Cup in Uganda. The former African champions will be without the majority of the players who helped the team qualify for next year's Nations Cup in South Africa after a 31-year absence. Midfielder Yared Zenabu, of Ethiopian league champions Saint George, is the only player in the squad who contributed actively in the 2013 Nations Cup qualifying campaign. The 14 uncapped players are home-based except for Abraham Kassa who plays in Alabama in the United States. Perhaps, the most experienced player in the 21-man squad is globetrotter Fikru Tefera, who has played in Europe, Africa and Asia. The other foreign-based player is Yusuf Salah, of Swedish club Syrianska. 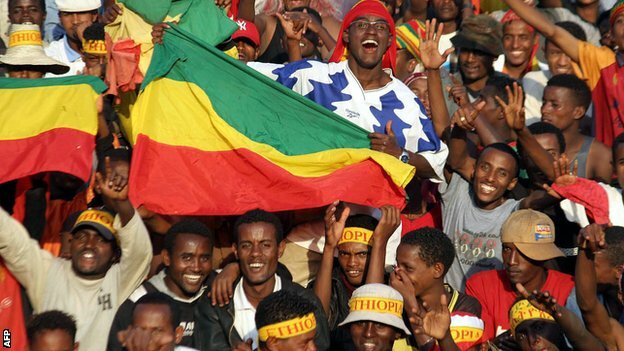 The inclusion of both Salah and Kassa forms part of Ethiopia's drive to search for overseas-based players of Ethiopian origin to strengthen their squad for the Nations Cup. Ethiopia have been drawn in Group A of the Cecafa Challenge Cup, along with hosts Uganda, neighbours Kenya and South Sudan. They will open the competition against South Sudan on 24 November at the Namboole Stadium. The final will be played on 8 December at the same venue.